The name Ostrow over a large U marks the spot for Abraham Ostrow's U. S. Hat Frame Co. Born in Elisavetgrad, Ukraine, Abraham Ostrow (1890-1963) immigrated to the U. S. in 1904. 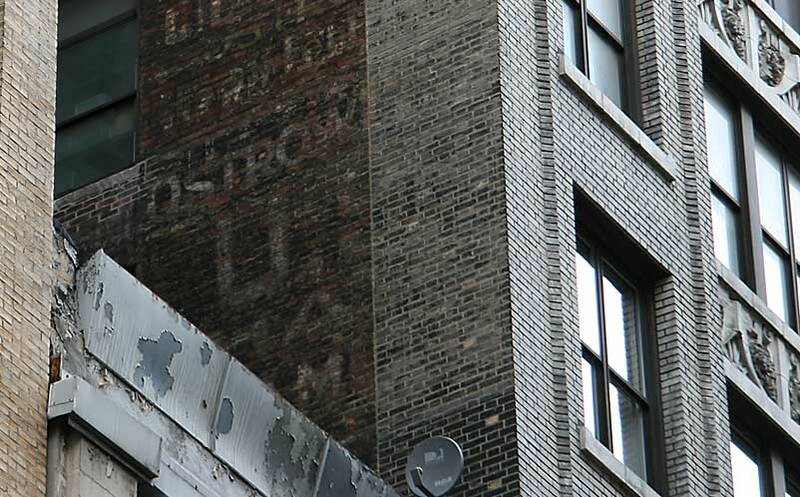 The U. S. Hat Frame Co. began around 1910 at 49 E. 8th St. A partner in the business was Adolph Zarowsky. They were located on Great Jones St., Mercer St. and Broadway until moving to 19 W. 36th St. in 1922. The business survived another 5 years at this address. By 1930 Abraham Ostrow had moved to Los Angeles, Calif., where he appears in the U. S. Census of that year as an insurance agent. He died in Los Angeles August 1963. In the same U. S. Census Adolph Zarowsky (1883/86?-1966) was living in Linden, New Jersey and listed his occupation as "Proprietor, Delicatessen."